NorthernAxcess offers the Iridium 9505A ASE docking station Satcom Bundle that includes the Refurbished Iridium 9505A satellite phone, ASE-MC03 docking station and the VTECH 6.0 Cordless phone. 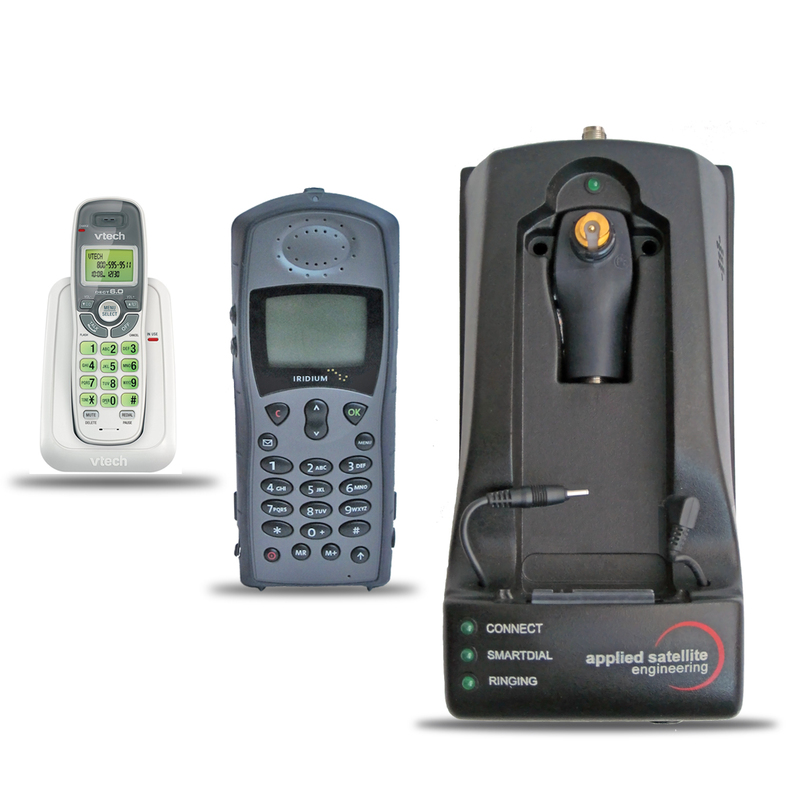 This bundle is an ideal solution to use your satellite phone in your office, vehicle or vessel. Note: Please call first to check availability on this item. Refurbished equipment we not always have in stock. We always have this item New in stock. Click on the link below to purchase it NEW. Note: The Refurbished ASE docking station comes only with the AC- Wall Charger and is compatible with the Iridium 9505A Satellite Phone. We have competitive prices and guarantee to provide quality used and refurbished satellite equipment, count with a 24/7 support team and the most qualified Repair Centre in the satellite communication industry. We also carry a full inventory of accessories for this docking station. Refurbished and Used Satellite Equipment come with a 90 Day Warranty. ASE-MC03 Docking Station installation is simple because the ASE docking station has all the advanced circuitry integrated into the single-piece, docking cradle. Mount the dock, connect the antenna, dock your 9505A satellite phone and you are ready to communicate anywhere in the world. The Iridium 9505A satellite phone is still one of the most reliable and efficient phone and have been used for many year by emergency teams, government, and military. This satellite phone is portable, lightweight and operates with the most reliable Iridium satellite network. This package includes the basic accessories for the use of the phone. The Iridium 9505A Satellite Phone allows you to make or receive calls anywhere on Earth. Industrial-grade design and a reliable performer, the Iridium 9505A satellite phone is small enough to carry in a backpack, very simple to use and offers proven reliability for use wherever you are in the world. This phone has the ability to send and receive text messages to other phones. Also can be used as data modem by attaching a data kit. When you connect it to your computer you can connect to the Internet or email at speeds of 2.4 Kbs/s. NorthernAxcess offers the AxcessMail Software, a reliable and cost effective email and file transfer over satellite phones that can save you airtime cost when using it for data. Click the button below to add the Iridium 9505A & ASE-MC03 Docking Station Bundle - Refurbished to your wish list.